I wrote an article about Microsoft’s Office 365 vs Google Apps Cloud Solutions a few months ago and now I’d like to talk about the security and privacy concerns of these cloud solutions for most businesses and consumers. So…. you’re a Lawyer or a Doctor and also a small business owner trying to decide which cloud solution will be best suited for your company. You should also be concerned about your company’s privacy, sensitive information and files that will be transmitted over the internet and then stored in the cloud. This is a serious factor to think about and whether or not to put your trust in either Microsoft Office 365 or Google Apps and the security risks involved. Consider not only how much confidential information your company has, but how you can protect your valuable data, and about choosing the right solution with trustworthy security. It is also a good idea to evaluate Microsoft Office 365 and Google Apps regarding security measures if this is a major concern to your business. Both Microsoft Office 365 and Google Apps offer an extra layer of security so that every browser session will be secured with SSL encryption and reduce your worry about outside forces stealing sensitive data such as passwords, credit cards information, etc.. It may be useful to consider what type of additional network security systems your organization has, or wants to implement or upgrade to if you have a budget for this – eg…hardware and software firewall/security protection. For a highly sophisticated security and privacy, if the company budget is not an issue and you’d like to sync Microsoft Office programs to Exchange Server, Office 365 might be the right solution for your company. Here’s a documentation regarding Office 365 Security and Compliance. 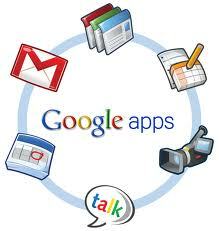 If you have a reasonable IT budget then Google Apps is good alternative solution. Here’s a good read on Google Apps Security and Compliance. At the end of the day, the same questions will be asked and pondered as to how these cloud solutions are using highly encrypted technology . Will Google and Microsoft be able to provide you with a high level of protection? The reality…there will always be questions regarding security and privacy. Good luck with your decision, I think that either one would work just fine for you. There’s a battle going on between two great Cloud Solutions – Microsoft Office 365 vs Google Apps. Which side will you choose? If you have a Home or Small Business with less than 25 employees, there’s no need to invest on a Server, additional Computers , Hardware and Software. All you need is a working Broadband connection and a computer to access the internet. 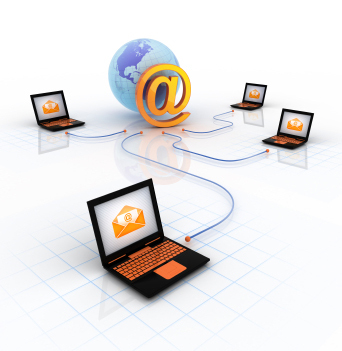 Remotely access and work on your files, programs, software anytime and anywhere. A very minimal and basic IT support is needed, there’s no need to outsource a professional IT Consultant. As low as $6 per User per month which is not too bad at all. The package comes with Email (with anti-spam filtering), web-based Microsoft Office – Word, Excel, PowerPoint, and OneNote and Lync. Google Apps includes a Free Solution (google documents, hosted email, spreadsheet and presentation) for up to 10 Users with Free Website and Email. Upgrade to the Business solution and you will get a lot more out of it including synchronization of emails to your Smart Phones (Android, IPhone and Blackberry). Now, it’s all up to you which one would work better. Will it be the most affordable one but with less attributes? Perhaps spend a little more but you’ll get a lot more goodies.